Bicyclists stop and confer, as a freight train lumbers past a railroad-street crossing on Stockholm Street, in the South Baltimore district of Baltimore, Maryland. There's a DC Beer Week event so new, that it's only just been Tweeted. It's Cask Night, Thursday evening, 18 August, 6pm onward, at the District Chophouse Brewery & Restaurant. To get the skinny, I talked with Barrett Lauer, longtime brewmaster at the Chophouse, and the host and organizer of the event. Capital City Brewing Company, of Washington, D.C., and Arlington, Virginia. Peat Me Up Scotty, 5.7% abv Scottish Export Ale, primed with fermenting Kolsch wort. Du Claw Brewing, of Bel Air, Maryland, etc. Bad Moon Porter: 6.5% abv, aged in a Heaven Hill Bourbon Barrel. Franklin's Restaurant & Brewery, of Hyattsville, Maryland. Gordon-Biersch Brewery & Restaurant, of Rockville, Maryland. Gose" 4.4% abv, wheat beer brewed with slightly salted water, and fermented with lactic bacteria. Gordon-Biersch Brewery & Restaurant, of Washington, D.C. Heavy Seas Brewing, of Baltimore, Maryland. Loose Cannon Hop3 IPA: 7.3% abv, dry-hopped with varities of hops: Ahtanum, Cascade, Centennial, Palisade, Simcoe, and Falconers Flight (a proprietary blend from Hop Union). Lost Rhino Brewing, of Ashburn, Virginia. New River Pale Ale: 5.4% abv, "extremely aromatic American-Style Pale Ale." Mad Fox Brewing Company, of Falls Church, Virginia. Wee Heavy: 8.6% abv, strong Scotch Ale, primed with Virginia honey. Oliver Ales, at the Pratt Street Alehouse, in Baltimore, Maryland. Strongman Pale Ale: 9% abv, dry-hopped with Sorachi Ace. Rock Bottom Brewery & Restaurant, in Bethesda, Maryland. Sweetwater Tavern, of Centreville, Virginia, etc. Host District Chophouse is pouring a cask-conditioned IPA, ALTogether Now, 5.5% abv Altbier brewed and dry hopped for 2010 DC Beer Week. Primed with Oktoberfest, and matured since then. The cost is $40 [UPDATE: SOLD OUT] which entitles each of the 80 or so lucky participants to unlimited tastes from the casks (at least until the casks are emptied), a complimentary glass (a specially designed stemmed glass, which means that beers won't warm up in drinkers' hands), and hors d'oevres, including pizza, sandwich wraps, and vegetable crudites. Reservations are required: call the brewery at 202.347.1922 to reserve a place. District Chophouse will publish more details at its website, and at Barrett Lauer's Twitter feed: @ChopHouseBrew. I'll update here, as more information is released. The brewpub is at 509 7th Street NW, Washington, D.C., close to both the Gallery Place and Archives Metro stops. One final point. The breweries invited to participate in this event are all local: found in and near to Washington, D.C. That is, and ought to be, the point of an event during DC Beer Week. I thanked Barrett for that, and I hope to thank him in person with a pour of his cask IPA. In 2008, I co-hosted the greater Washington, D.C. area's first-ever vegetarian beer dinner, at Great Sage, in Clarksville, Maryland. Great Sage has gone on to host others. In fact, every night there is a vegetarian beer dinner: Great Sage is serves no meat dishes and offers an excellent beer selection. Mad Fox Brewing is a normally omnivore-catering (and often pig-happy) brewpub in Falls Church, Virginia. Thus, it's fun to see the restaurant posting a menu for a vegetarian beer dinner. Beer, grain-based, is vegetarian (except for some instances of cask ale). It's the dinner menu, served with the beers, that will be animal-less. Mad Fox's Executive Chef Russel Cunningham has created the menu; he'll offer vegan substitutions upon request. Brewmaster/owner Bill Madden will host. The dinner is scheduled for Wednesday, 24 August 2011, at 7pm. The cost is $50; taxes and gratuity are additional. The brewpub accepts reservations with a credit card at 703-942-6840. The website is: www.madfoxbrewing.com. I won't be a host, but I will be a customer! UPDATE: Photos from the Mad Fox Dinner: here. Review: here. Bread and Brew in Washington, D.C., announced a Vegan Beer Dinner for Saturday, August 20th, as part of DC Beer Week. The restaurant stated that the event would be a "five course vegan dinner paired with five vegan craft beers." Standing next to a glass of R.J. Rockers Buckwheat After Dark (Bad) Ale, Mark Sedar —the South Carolina brewery's national sales representative— wears a tee-shirt that expresses his (and many others') fervid belief: "Beer Is An Art." Sedar might be better known to many 'north-western' Virginia good beer lovers as the past owner of the now closed beer and wine store, The Virginia Touch, in Berryville, Virginia. During its short but sweet run, the Virginia Touch was well-regarded as an oasis of good beer, and Sedar was well-regarded for his fierce dedication to local products and his welcoming manner. He and his wife still maintain the website as an on-line store for Virginia foods and items. The photo was taken in Leesburg, Virginia, at the Northern Virginia Summer Brewfest, 25 June 2011. Photo by Yours For Good Fermentables.com. May be reproduced for non-commercial purposes without permission (but please link back). Anyone who has ever organized a city-wide 'beer week' can empathize with the struggle: a lot of work, a real threat of financial loss, and scant acknowledgement. I'll stipulate to that: the organizers of DC Beer Week deserve much credit. But, let's compare DC Beer Week to similar festivals in two cities just to our north. Philadelphia's Philly Beer Week, begun in 2008, has been a rousing success. Philly Beer Week is organized and operated by Philly Beer Week Inc., a non-profit 501(c)(6) organization overseen by a board comprised of brewery owners, distributors, restaurant owners and others, to promote Philadelphia’s beer and hospitality industries. Baltimore Beer Week, begun a year later, has been no slouch either, involving the city and communities surrounding it, and presenting three festivals as part of the week. That's not DC Beer Week, but it could be. So, here are 10 modest steps I propose for 2012. 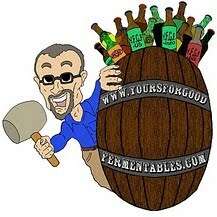 Make the event a coordinated effort of brewers, homebrewers, store owners, restaurateurs, (bloggers), beer fans, wholesalers. Begin planning for next year's event the day after this year's ends. Promote the event well before the scheduled dates. Promoting out-of-state tourism will make the event attractive to potential co-sponsors, such as businesses and the D.C. government. As it stands this year, it's too late for people from far afield to consider vacation plans to D.C. on such short notice. Promote the food of the mid-Atlantic region. The once yearly beer-with-food event here in D.C., Savor, ironically fails on this point. Make DC Beer Week truly a locovore celebration: invite local dairies/cheeseries, farms, fisheries, bakeries, etc., to participate. 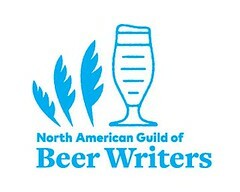 If the point of a beer week is to reveal the local beer culture, the beer week needs to reach people who are not normally aware or part of it. Involve restaurants, and other outlets, that are not normally beer-centric. The city and environs are becoming a foodie destination. Use that! One factor in the organizers' original decision to select the 3rd week of August was to coordinate with the Brew at the Zoo. 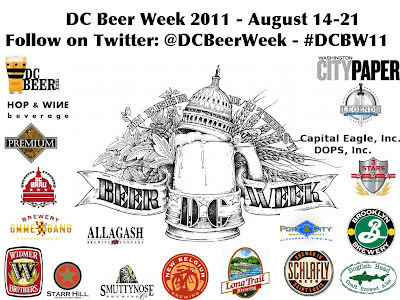 That event, however, was never an official participant in DC Beer Week, and this year, moved the date to July. The weather in August in Washington, D.C. is oppressively humid. Why not late winter or early spring? Consider that D.C. beer culture does not stop at the Potomac River or at Chevy Chase Circle. Both Philly Beer Week and Baltimore Beer Week celebrate beer culture throughout their greater metropolitan areas (and DC Restaurant Week celebrates outside the city proper as well). We should too: invite local breweries and brewpubs located outside of D.C. proper but in its suburbs within a certain radius. Create events in restaurants, pubs, and other venues throughout the Washington, D.C. Metropolitan area. Finally. throw a one-day beer festival, belonging to DC Beer Week itself. Hire a promotion company to help run the festival, but use any profits to promote DC Beer Week and D.C. area breweries throughout the year. Organizing such a city-wide event is difficult and often thankless work. And non-paid! I, and many others, appreciate the organizers' efforts. I look forward to 14-21 August and this year's DC Beer Week. On the 22nd, the very next day after the festival, let's start planning for 2012 and beyond. The greater Washington, D.C. area abounds with good beer lovers, who would be eager to volunteer their time and effort. The city and suburbs are becoming home to more and more good beer restaurants and pubs, and, now, more 'craft' breweries. If we work in a concerted manner, we can make DC Beer Week the nationally recognized and attended event it should and could be. One last thing, a minor thing, but yet, a thing. The website reads: "DC Beer Week is a week-long celebration of beer culture in the nation’s capitol." Spelled with an "o," capitol is the building that houses Congress. Spelled with an "a," the capital is the entire city. This post has been edited since its original publication, to reflect festival changes and updates. The message remains the same. On America's 235th birthday, Jacob Jones celebrated his 1st birthday ... with his own beer. Little Jake didn't actually imbibe, but many others did. A beer had been brewed in his honor. Jake's dad happens to be Steve Jones, the brewmaster for Oliver Ales at the Pratt Street Alehouse, in Baltimore, Maryland. To mark the occasion, Steve brewed Jacob's Summer Celebration Ale. My baby boy turns a year old on July 4th  so his namesake beer is released once more. The brew specs are determined by the little man himself. He weighed 8.8lbs at birth, so the abv is 8.8%, with 8.8lbs of bittering hops, and 8.8lbs of finishing hops. Because I’m English and his mother is American, the hops were divided equally between UK & US varieties. And, because the little scamp arrived on July 4th, the brew is dry hopped with Liberty hops!" Above, a cask-conditioned pour of Jacob's Summer Celebration Ale sits on the bar at the Pratt Street Alehouse. Jake's little blue friend is smurfing that hoppy aroma, but Jake? He'll have to wait another 20 years for his legal opportunity. Caveat lector: As a representative for Select Wines, Inc. —a wine and beer wholesaler in northern Virgina— I sell the beers of Oliver Ales. Photo by Yours For Good Fermentables.com. May be reproduced for non-commercial purposes without permission (but please link back). Commercial use requires explicit permission, as per Creative Commons. Lists —Top 10, Best of, Best Buys— love' em or hate 'em, they're ubiquitous. Crowd-sourced beer lists, such as RateBeer or BeerAdvocate, tend to skew results by favoring strength over flavor —more alcohol, more bittering, more 'extreme' (extremities?). There's another, inherent, but often unacknowledged, flaw with beer lists, especially those in the US. Freshness, a sine qua non of good beer flavor, is ignored: bottled beers are selected over fresh brewpub beers. It's a convenience thing: bottles are more readily available, and more easily shipped. That being said, the 'best beer' lists at Wine Enthusiast magazine, of all places (! ), are well thought out and useful. In the current issue (July/August 2011), Lauren Buzzeo offers a strategy to help 'de-intimidate' a shopper's task when facing big and burgeoning "artisinal selections" of beers. She suggests breweries, rather than individual brands, to look for. If not an exhaustive 'best of,' it's a good 'try the beers of these breweries if you haven't already, or haven't in awhile' list. Brewpubs excluded. Of the 20 largest breweries in the US, 5 are mentioned, including Boston Beer and Dogfish Head. This category includes Bell's, Stone, Brooklyn, and Victory. Allagash, Jolly Pumpkin, and Russian River are among the selections here. Eleven Allagash beers, some rare, were on tap at Rustico Restaurant, Arlington, Virginia, 12 July 2011. Pictured: Naomi Neville —Allagash National Sales Manager— with Thomas Cizauskas. More: here. Baladin, BrewDog, and Unibroue are three of the recommendations. Three suggestions are Avery, Founders, and Smuttynose. Read the entire piece, Seas of Suds, with all of the suggestions: here. In this same issue, the editors of Wine Enthusiast identify their Top 100 'Wine Restaurants' in the US. With parochial concern, I noticed that no Virginia restaurants were chosen (no Inn at Little Washington?). Maryland scored one: Tony Foreman and Cindy Wolf's Charleston, in Baltimore. What really caught my attention was the anointed trio in Washington, D.C.: Art and Soul, CityZen, and ... Birch & Barley. Birch & Barley and its upstairs bar partner, Churchkey, have a good wine list (designed by past CityZen-er Julianna Santos), but the restaurant is better known, and celebrated, for its beer list: 50 taps, 500 bottles, 5 casks. The beer menu is ingeniously designed to sort beers by flavor and weight, rather than alphabetical order or style. The beer is overseen by Greg Engert, who last year was honored by Food & Wine Magazine as one of the nation's top seven sommeliers, "because he's bringing the same seriousness to beer that other sommeliers bring to wine." Birch & Barley is the only beer-centric restaurant chosen in this Top 100. See the entire list at the Wine Enthusiast: here. Caveat lector: As a representative for Select Wines, Inc. —a wine and beer wholesaler in northern Virgina— I sell the beers of Allagash and Brooklyn. 'Craft-beer' throughout the United States continues to increase in venue and volume: 11% growth so far this year. Here, in the greater Washington, D.C. area, it's exciting times, indeed, for 'good,' fresh, local beer. Here's more of the roster of growth, experienced in less than a year. Baying Hound Aleworks, a tiny production-only brewery opened a few months after Mad Fox, in October of 2010. (Some refer to it and others of a similarly small size —less than 1,000 barrels annually— with the unfortunate neologism 'nano-brewery'). Port City Brewing Company —the first production brewery to operate in Alexandria, Virginia since 1916— opened in February of this year. DC Brau (pronounced brow) —Washington D.C.'s first production brewery since 1956— followed in April. And, there are more to come! Don't forget the northern Virginia 'survivors,' however. Brewpub Vintage 50 is open in Leesburg. Remaining popular and successful are the three locations of brewpub Sweetwater Tavern and the single location of Capitol City Brewing Company, about to undergo a dramatic expansion of capacity. A national brewpub chain has two locations in northern Virginia: Rock Bottom in Arlington and Gordon-Biersch in Tysons Corner. Since its opening, Mad Fox has become appreciated for its food as well as for its beers. Pictured above are its house-made doughnuts, one of which, yes, is studded with real bacon crumbles. The whispered word on the street is that the brewpub is investigating expansion plans, possibly distributing its kegged beers or having another brewery contract-brew its beers in bottles or cans (i.e., a separate, unconnected brewery would produce and package Mad Fox's beers according to Mad Fox's recipes). Local newspaper Falls Church News Press wrote: Mad Fox Celebrates Successful First Year. Mad Fox invites you to an all-day party Saturday, July 16 to celebrate our first anniversary. As a thank you to our loyal patrons, we are offering a free Anniversary Logo Glass to the first 250 people starting at 3PM. We’ll have live music starting at 9PM. The 'before' photograph: On a mission. The 'after' photograph: Mission accomplished. Photos may be reprinted, but only for non-commercial purposes. Commercial use requires permission, as per Creative Commons. Breweries often eschew darker beers at summer beer festivals, thinking lighter and brighter to beat the heat and humidity. At the recent Northern Virginia Summer Brewfest, Randy Philip and John Anderson —the Two Dudes of Scootyman Productions— went searching for dark beers ... and found some. In defense of breweries, the 'lighter' beers they bring to summer festivals may be lighter but that's just the hue. Hoppy IPAs and soured beers do not lack in flavor or alcohol. And even the lighter-flavored styles, such as Kolsch or wheat beers, still have abundance of character. Caveat lector: As a representative for Select Wines, Inc. —a wine and beer wholesaler in northern Virgina— I sell the beers of Oliver Breweries. Today, it's a bit of zymo-geekery, more precisely, cellarmanship under duress: serving cask ale in difficult conditions. A Cask Widge is a weighted float tube and apparatus that combines the functions of a cask keystone tap and a venting peg. Many US pubs are not set up for cask ale and don't have the space to store a cask horizontally, particularly in an under-the-counter refrigerator. The Cask Widge allows beer to be pulled from a cask that is being stored vertically. The device is also useful at outdoor summer festivals —when used in conjunction with a beer engine— in keeping, and serving, a cask cool under hot and humid conditions. 1) The tap, sealed, is hammered into the cask keystone, with the cask sitting upright. 3) The bamboo peg (soft spile) is inserted into the end of the venting tube (the very short line) to allow CO2 out while the beer is venting. 4) Once the beer has finished venting (is in 'condition'), the 'V' valve is turned perpendicular to the tubing, thus shutting the line, and preventing any more CO2 from escaping or any air from entering. 5) When the beer is ready to be served, the top cap is removed from the tap, by a simple 90° twist. 7) Just above the weight is the beer-intake port in the tubing. It is covered by mesh to prevent ingress of cold break (protein sludge), yeast, or hops, that could stop the flow. 8) The top of the tubing has a red cap that is inserted into the tap and sealed by a simple 90° twist. 9) At one end of the tubing cap is a gray nut and hose barb. It is connected to a 3/4"inch line that runs to the beer engine. The other end is sealed with a gray cap, but could also be connected a second beer engine line, by screwing on another nut and hose barb. 10) The red 'V' valve on the short 'air-in' line is opened by turning it parallel to the tubing, and the soft spile is reinserted into the end of the short tube. 11) If a cask breather is to be used, the short tube is removed and the line from the cask breather is attached to the hose barb just to the right of the "V' valve. Here's another use for the Cask Widge, as seen at a cask ale festival at the Pratt Street Alehouse, in Baltimore, Maryland. In this case, a tap to fit this wooden cask was not available. (Standard beer cask taps are not compatible with wine or spirit barrel keystones.) So, Oliver Ales' brewer Steve Jones inserted the Cask Widge through the top shive bung. Note the side barb: it allowed ingress of air as the beer was hand-pumped out. More photos of a Cask Widge: here. Hosta, blooming in the backyard, northern Virginia, early morning, June 2011. Photo may be reprinted, but only for non-commercial purposes.